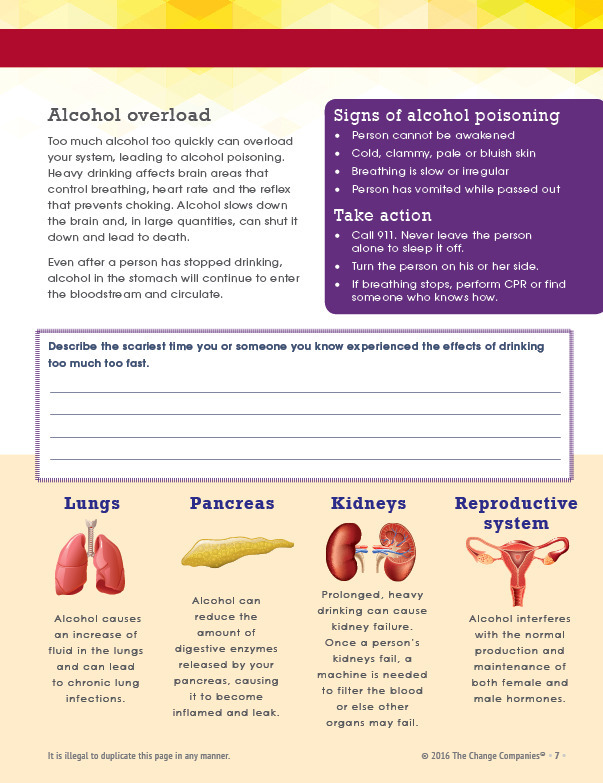 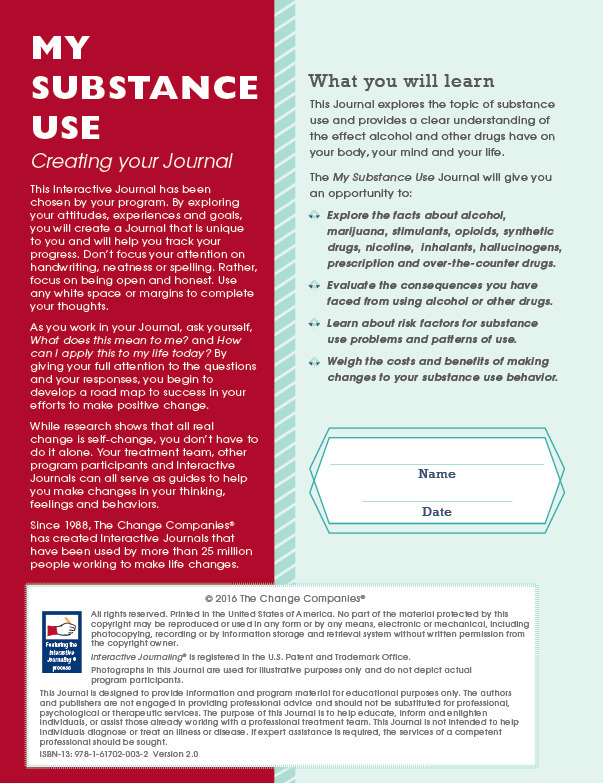 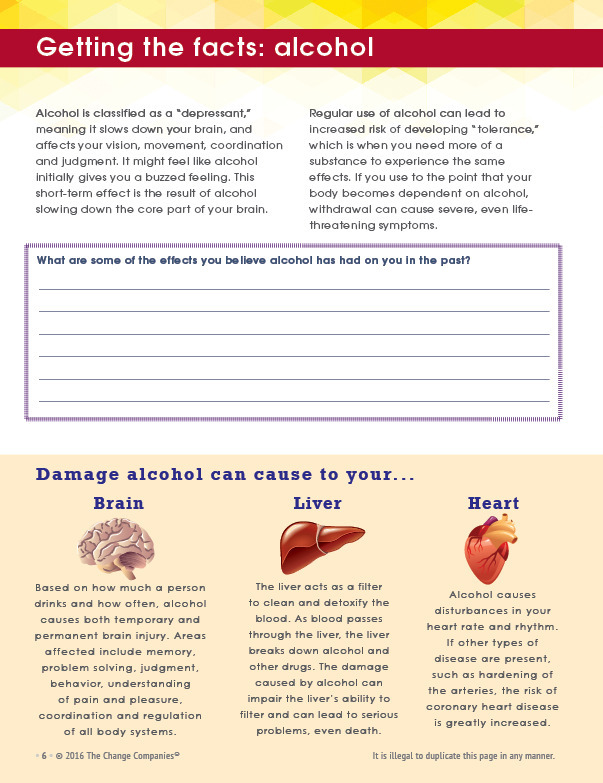 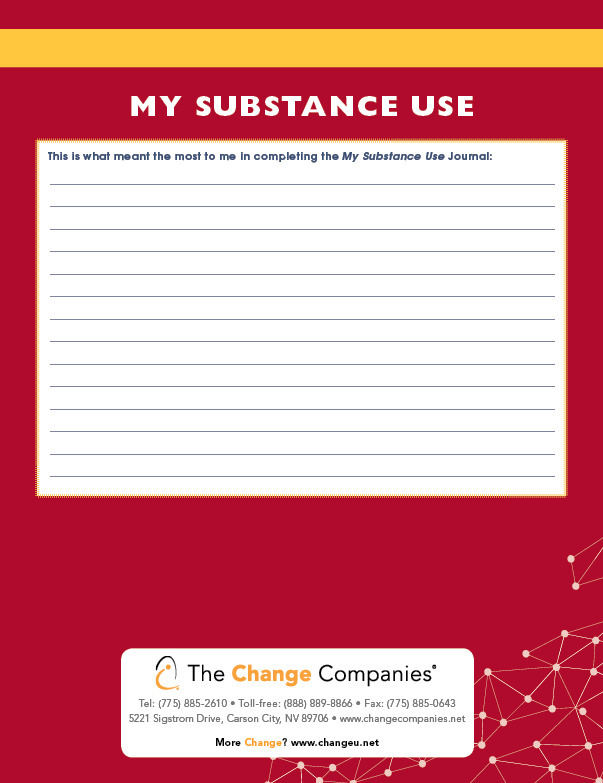 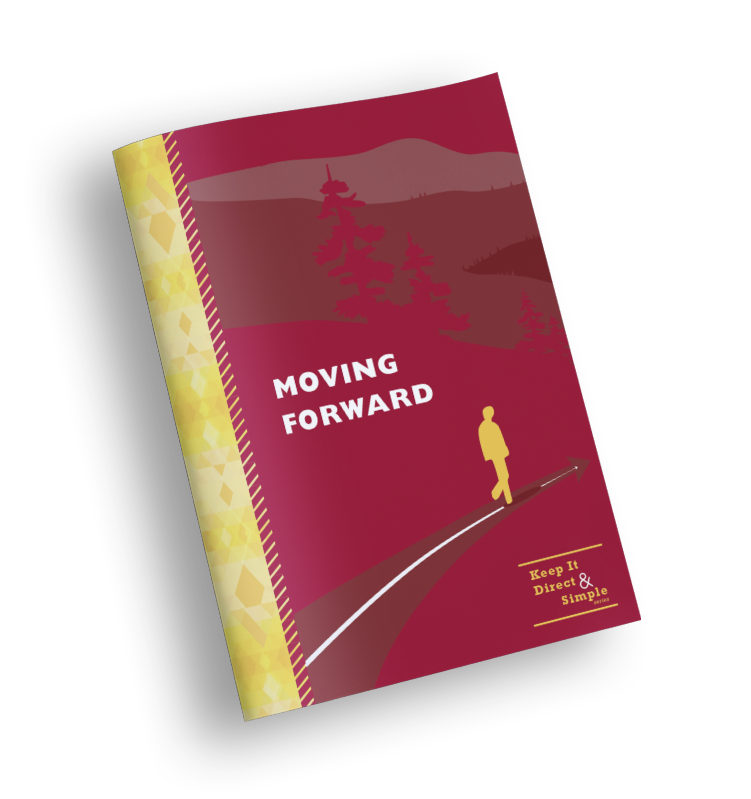 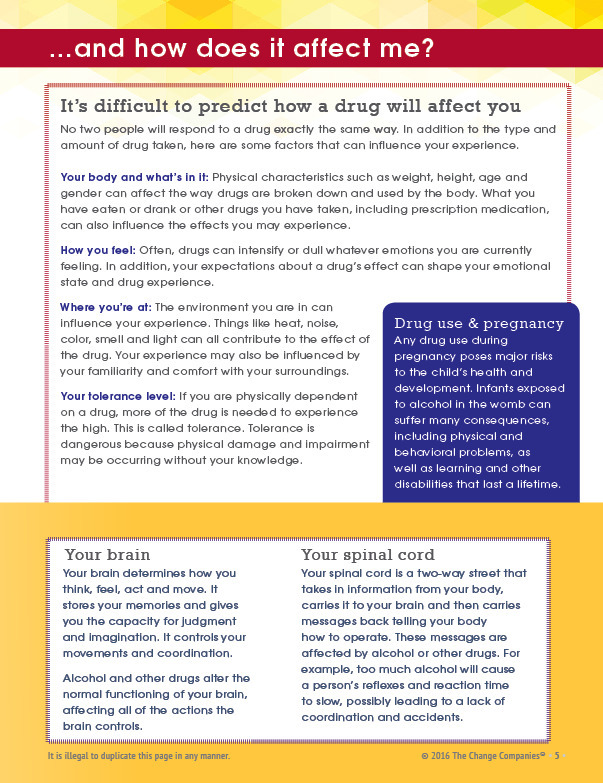 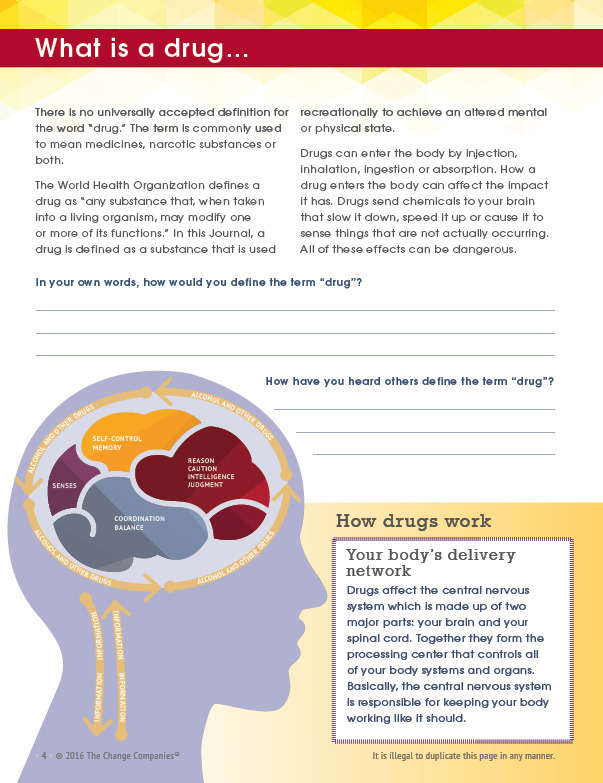 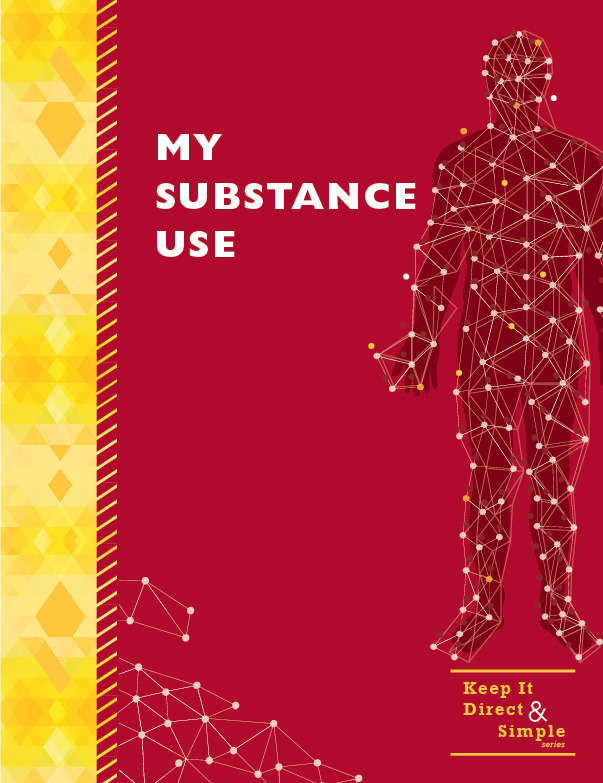 My Substance Use takes a close look at the facts about alcohol, marijuana, stimulants, opioids, methamphetamine, inhalants, nicotine, hallucinogens, synthetic drugs and prescription drugs. 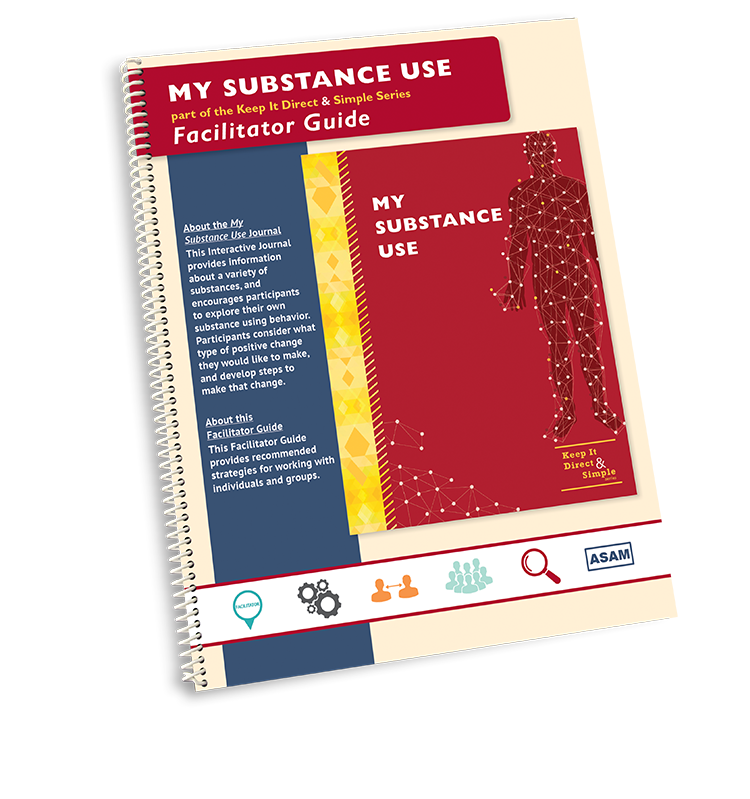 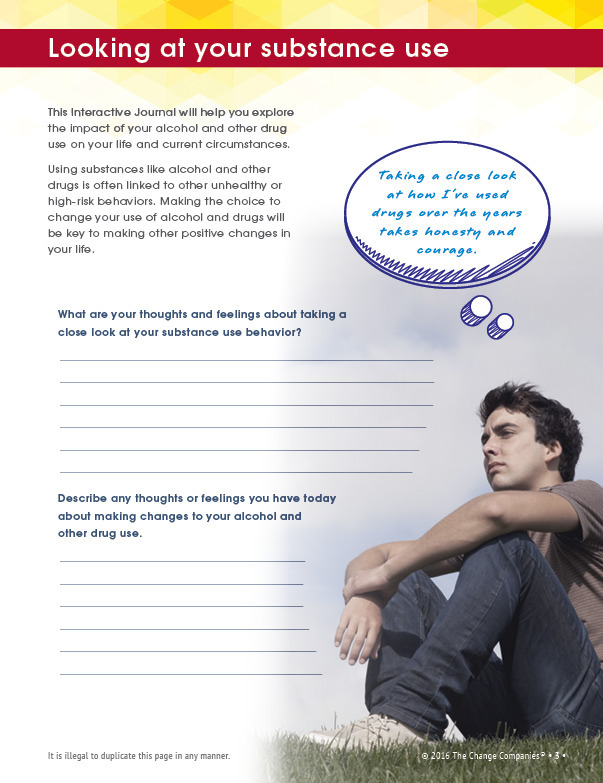 Participants will gain a clear understanding of the effects of these substances on their bodies, minds and lives as they consider the consequences of their use and their current pattern of use. 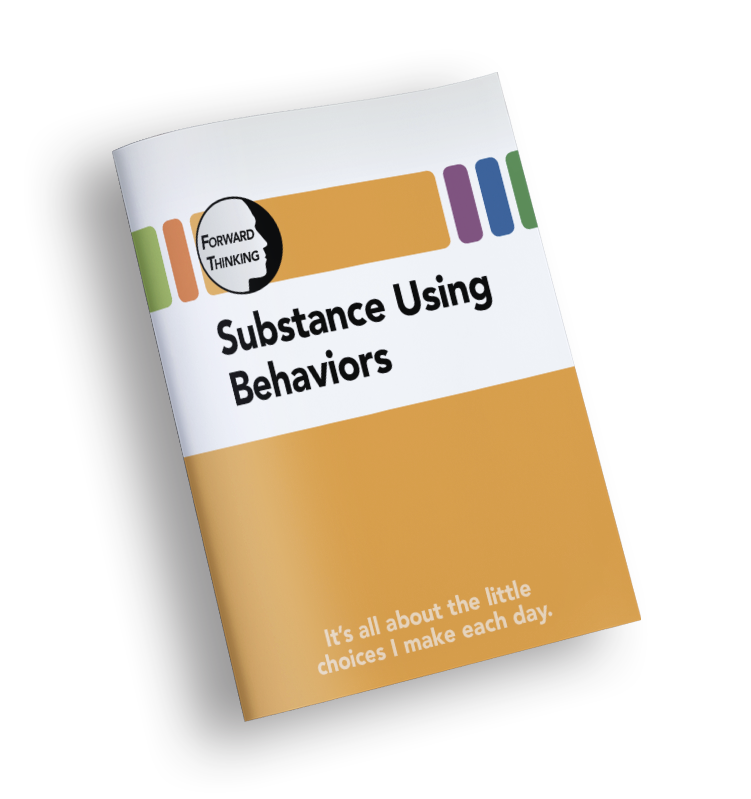 They will then weigh the costs and benefits of continuing use or changing their substance use behavior.